Cougfan.com published this story by Kendrick Griffin on Feb. 25, 2018. Is it hot in there? That’s the question Washington State University mascot Butch T. Cougar has been asked at almost every event, every game, and every awards ceremony for 40 years. “During basketball games I would lose anywhere from three to five pounds of water from sweating,” said Darrell Turner, who worked as Butch from 1981-82. In 1978, WSU launched Butch in a costume to replace Butch, the series of actual cougars who lived in a cage off Stadium Way, as the university’s mascot. 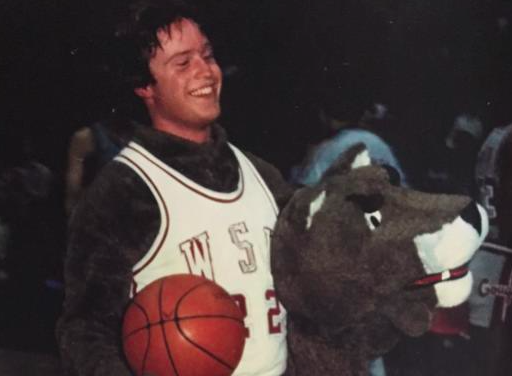 The costumed Butch turns 40 this year, and WSU will celebrate the anniversary with a reunion next fall. For perspective on that tenure, consider that its two years longer than Glenn Johnson has been the PA voice of the Cougars and it predates commonplace use of the internet by nearly two decades.